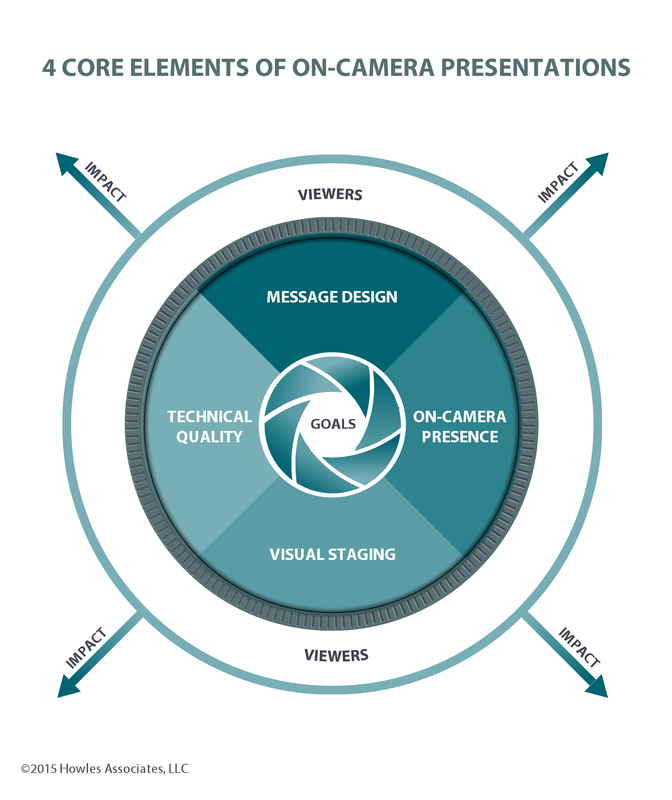 There are several simple things you can do to make sure you look good on-camera, and to ensure your message is communicated without visual distraction. First, you want to wear colors that will “pop” on camera. What this means is that brighter, solid colors come across better on camera, as everything on-screen is more washed out than in real life. Bright, solid colors like blue, burgundy, purple, and reds, for example, work best. If you’re not using a chroma-key screen or “green screen” backdrop, you can also wear green. If you are presenting in front of a green screen and wearing green, however; you can disappear along with the backdrop in post-production when the special effects to remove the background behind you is replaced with another image. You also want to steer away from wearing lots of black and white. Using black and white as accent colors in smaller sections of your clothing is workable. Otherwise, wearing mostly black can easily be absorbed by darker backgrounds or furniture, and white clothing reflects light toward the camera. That said, the general principle of not allowing your clothes to draw attention to themselves still applies. Avoid logos and loud, obvious patterns–wearing only very limited patterns. Watch out for vertical stripes, polka dots or bold plaid, for example. Save those for off-camera fun! Another item to keep an eye on is big, shiny jewelry that may be visually distracting to viewers. I once advised a client during a shoot to remove her watch because as she gestured on-camera, it was so fancy and large that it called our attention away from what she was saying. Gold necklaces and other sparkle jewelry can also create glares under the lights and on-camera, so watch the screen monitor to catch these and remove them, or playback your video to try to spot them if you’re shooting by yourself. This will help you catch visual distractions, so you don’t have to come back to the set and re-shoot. Most people don’t often consider that what they wear on-camera can make a difference, but by thinking through a few simple guidelines, you can significantly improve the likelihood that your viewers are watching what you say . . . and NOT what you’re wearing.